For the past month I have been scouring the internet for the perfect outfit for Grace to wear to her birthday party. None of the big box stores had anything I liked, and the only ones I would even consider were all made to order. 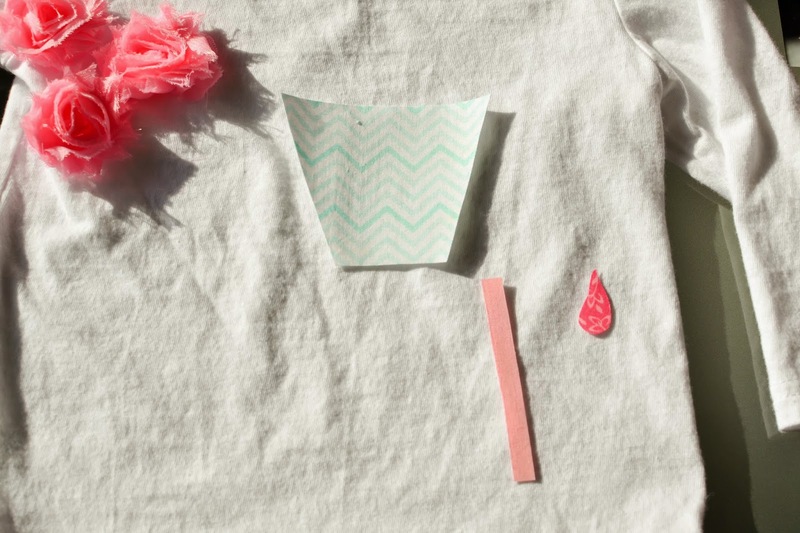 Of course, handmade goods while beautiful also come with a hefty price tag. Finally, after some debate I decide to make my own appliquéd shirt for Grace to wear. In addition to saving close to $30 I also got to use the fabric from her party decorations. I don't pretend to be a great seamstress. In fact my only training on the sewing machine came in the form of an 8th grade home ec class where we spent the entire semester sewing a single pillow case. However, appliquéing is fairly straightforward. Of course you can make it as complicated or as easy as you want. 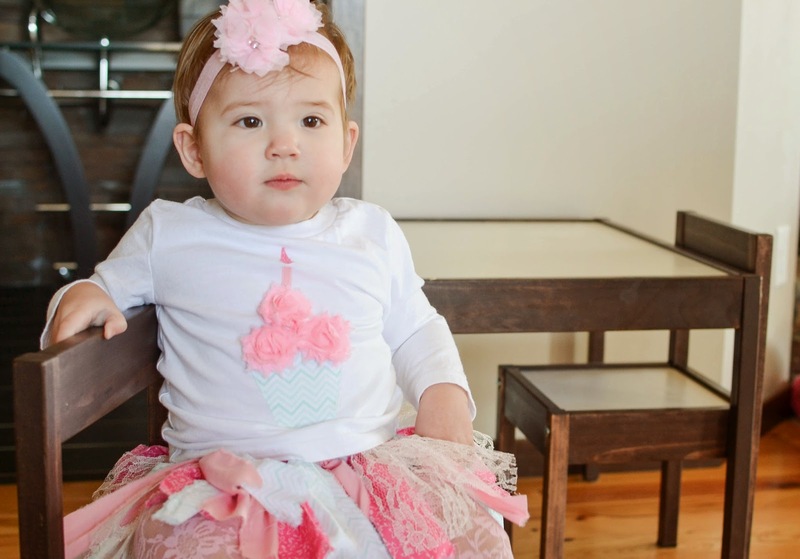 I went for easy and was able to complete Grace's cupcake shirt in only a couple hours. 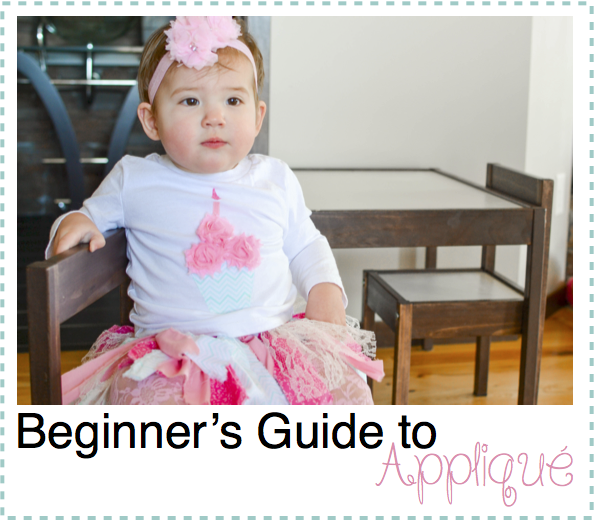 First, you need to decide what you are going to appliqué. 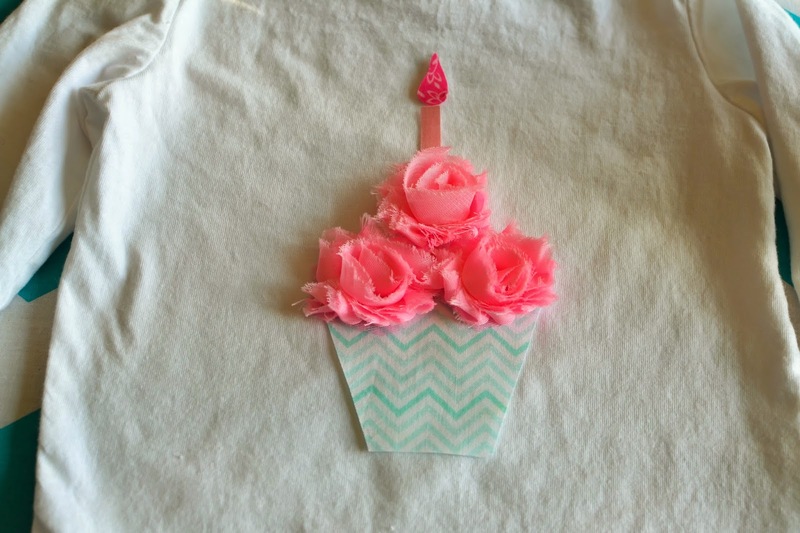 For example, I chose to do a cupcake. Then, unless you are an amazing artist you are going to need a pattern. Since I chose to do a cupcake I simply searched google images for "cupcake pattern." You can easily find any pattern you want by googling what you are looking for and including words like pattern, template, clip art, or outline. Next, I saved the image I found to my computer, and opened it in a publishing program. I used Pages, but you could easily use Microsoft Word, Publisher, or PowerPoint. From here you can play with the size of the image. 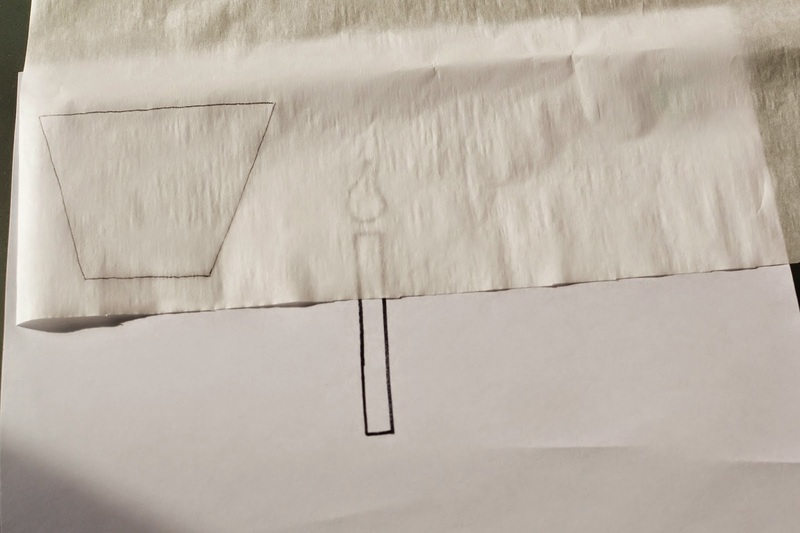 When you are happy print the image on to a piece of paper. I ended up printing the image several times and fitting it on my shirt until I decided on my final size. If your image is directional, like words, you need to make sure to flip your image or the letters will be facing the wrong way. You can do this by flipping it in your computer program or by printing the letters, cutting them out, and flipping them over before tracing them on to the fusible web. 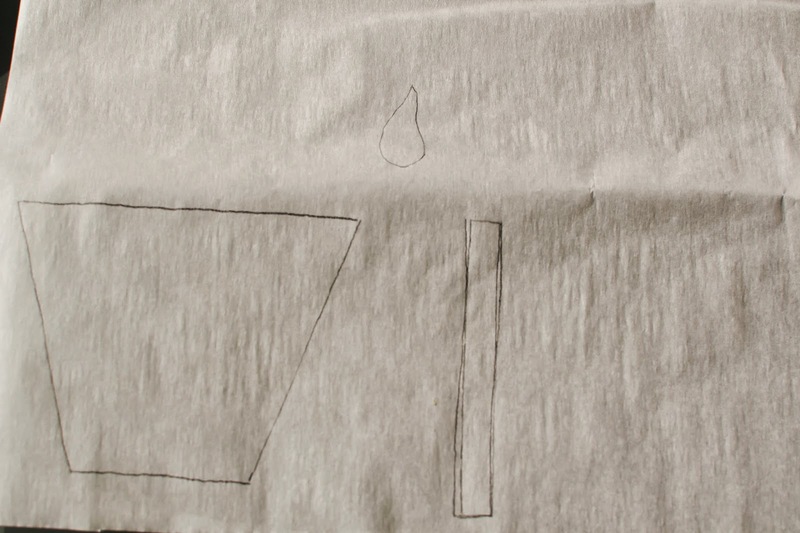 Trace your pattern on to your fusible web. The fusible web will have two sides. One side will be bumpy, this is the side you will attach to your fabric first, the other side will be smooth and have a paper backing. With the bumpy side down trace all of the pieces of your pattern on to the paper side of the web. If using a pattern with multiple layers like this bird appliqué trace each shape on a different part of the web. Using a paper scissors cut each shape out leaving at least 1/2 of an inch of web around the pattern. 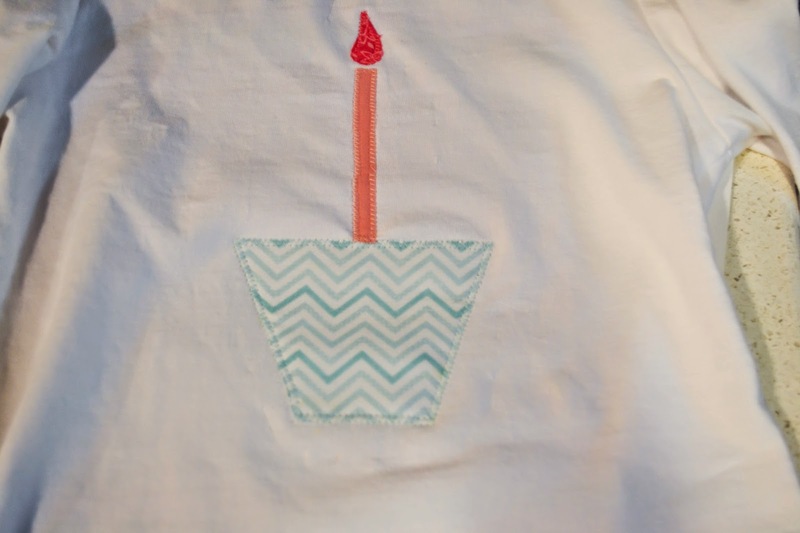 Make sure that the fabric you are using to appliqué has been washed and dried and that all of the wrinkles are ironed out. Lay your fabric wrong side up on the top of an ironing board. 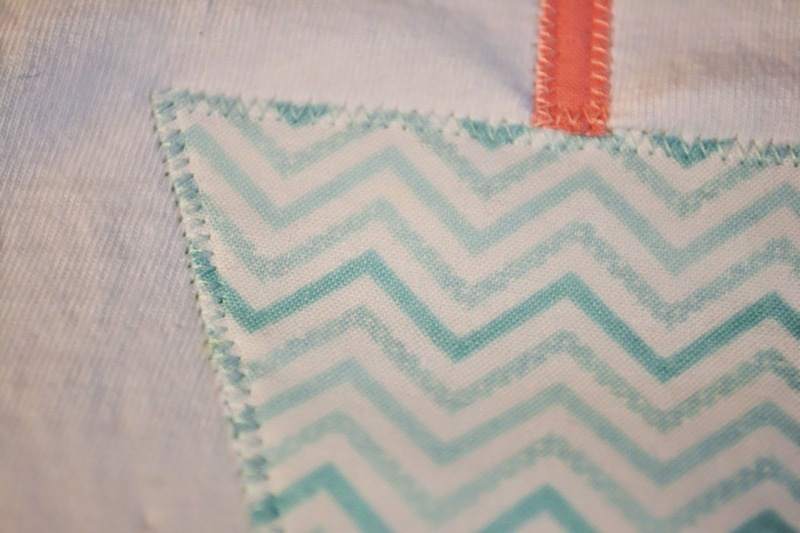 Place a piece of your fusible web pattern on top of the fabric bumpy side down. 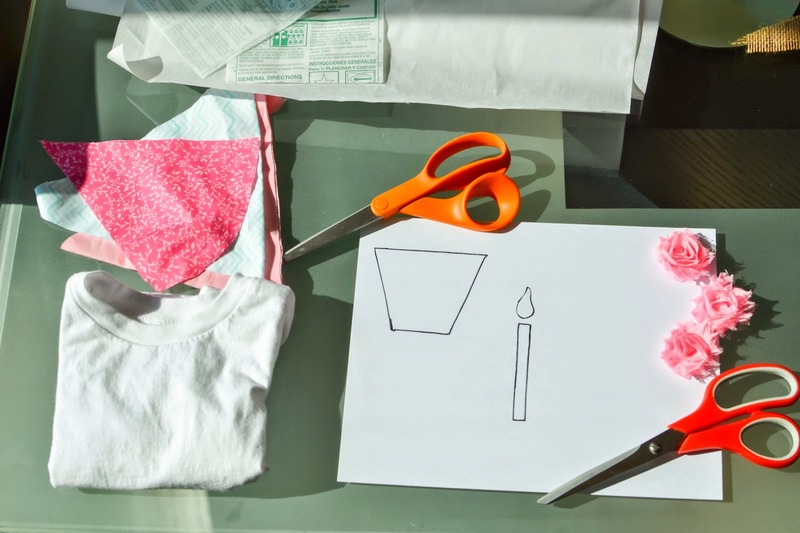 Using no steam, iron your pattern to the fabric. You will know it's adhered when you can no longer lift the web from the fabric. 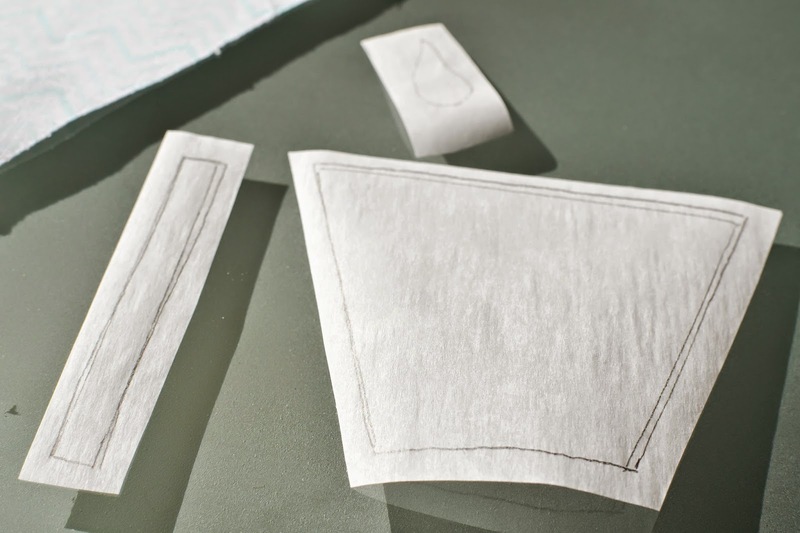 Repeat until all your patten pieces have been ironed on to the fabric. 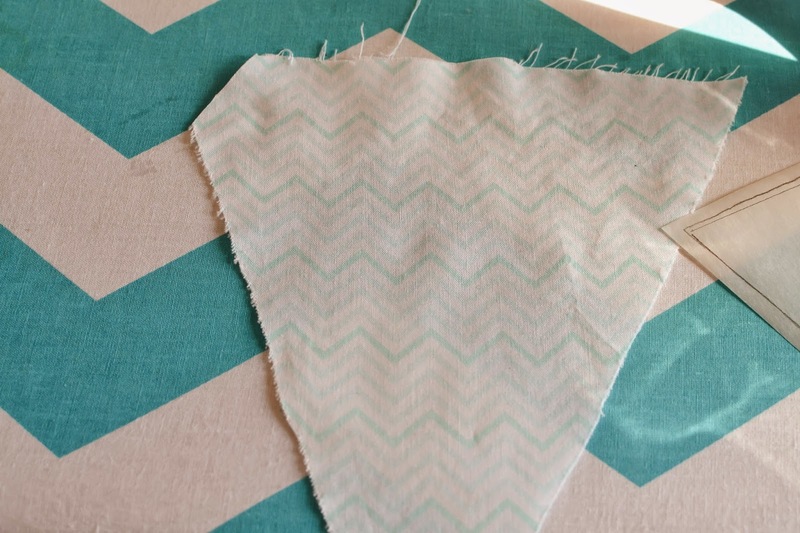 Cut out all of your pieces of fabric following the lines on your pattern. 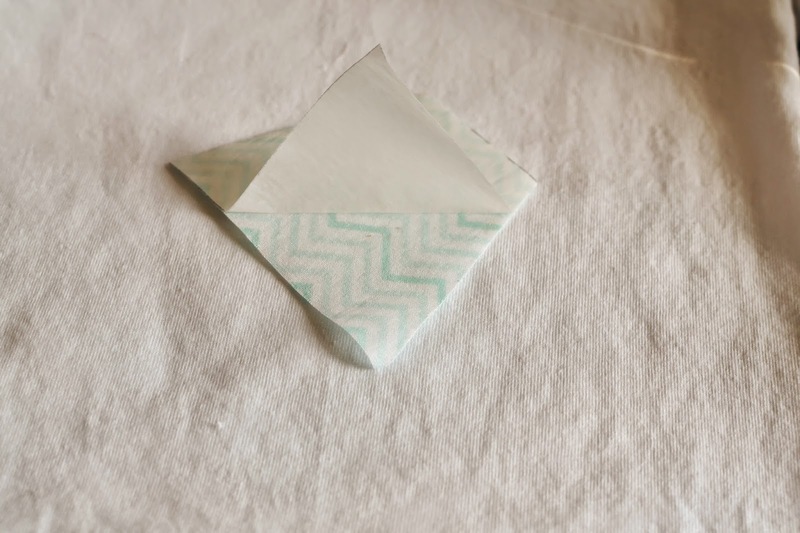 Remove the paper backing from all your fabric pieces. Lay your pieces on to your shirt the way you want them to look. I just eyeballed the placement of the design. 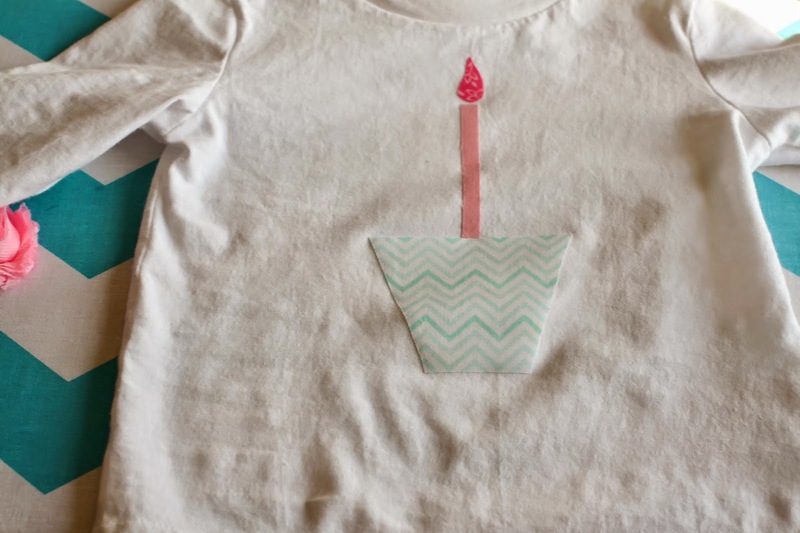 Next using a iron and following the directions for your fusible web, iron down your design to the shirt. 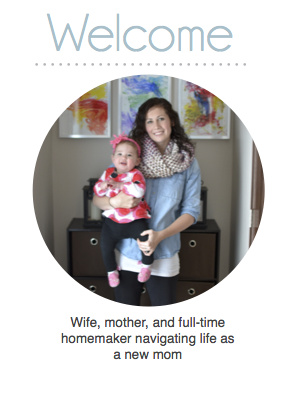 If using a pattern with multiple layers. 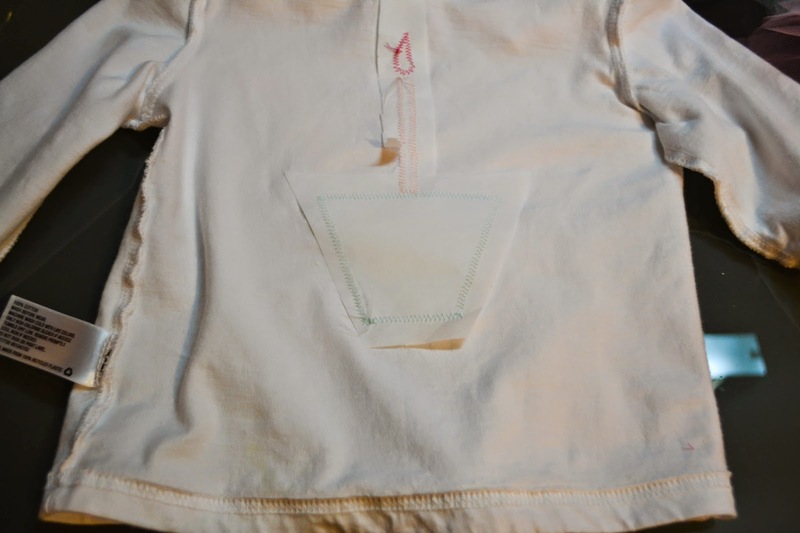 Iron the layer closest to the shirt, sew the perimeter and then iron the next layer etc. In order to make the appliqué more permanent and to give the shirt a more finished look I used a sewing machine to finish the sides of the design. Start by pining your tear away stabilizer to the under side of the shirt. 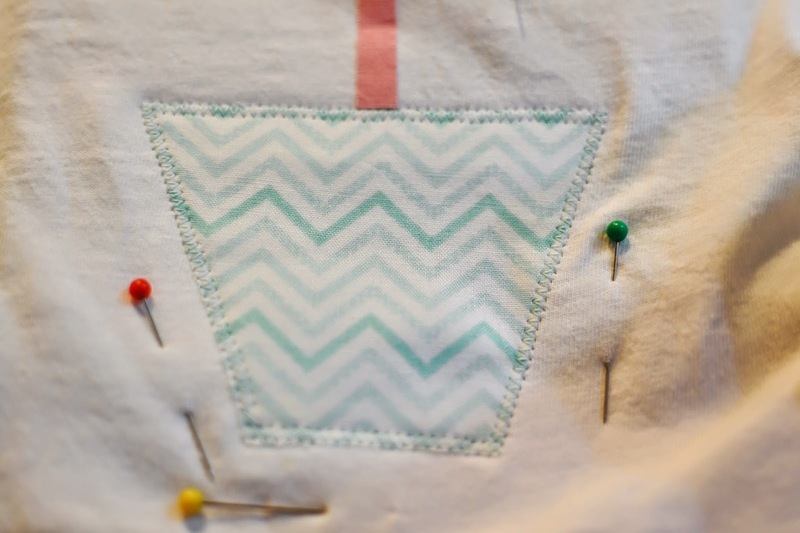 This will help make sure you get an even stitch without pulling at the fabric. Using a zig zag stitch practice on a piece of scrap paper until you decide on the length and width of stitch you want to use. Mine ended up being about 1/16" wide and 1/16" long. 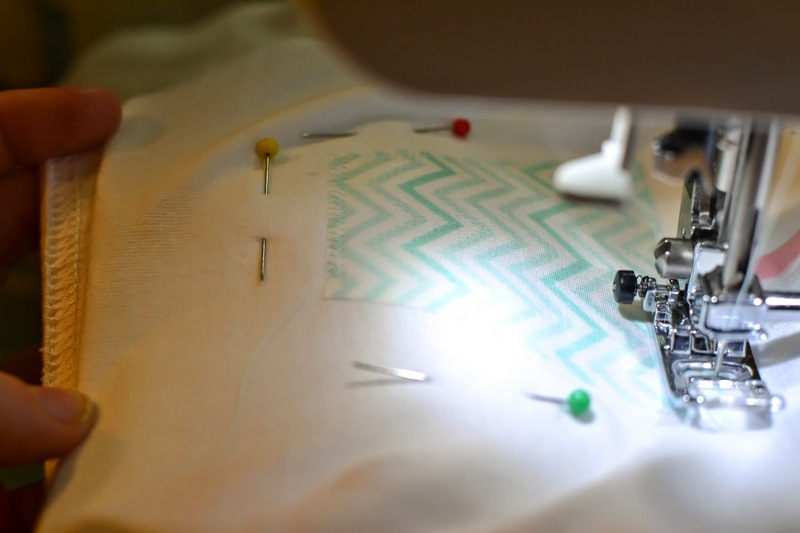 Now sew around the perimeter of your design without backstitching. When stitching on knit it works best if you line your stitches up with the edge of the pattern. Sew all the way around your image until you end up back where you started. Do not backstitch. Hold your stitches with one hand when you remove your shirt from the sewing machine to keep the stitches from pulling out. Cut the strings with enough excess to tie them off. 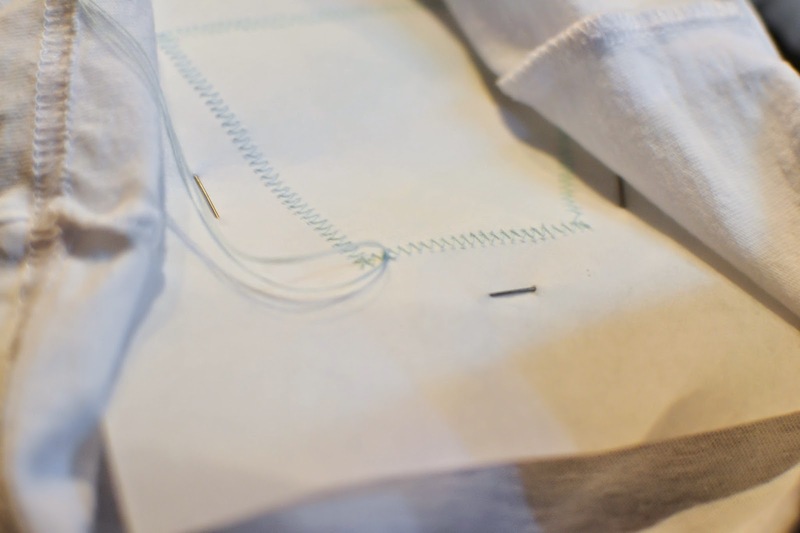 To finish the stitch, turn your shirt inside out and pull all of your threads to the back of the shirt. I just grabbed a needle and pulled them through. Tie off your threads a couple times to make sure they are secure. Clip your ends. Repeat above steps until all your pieces are sewed on to the shirt. 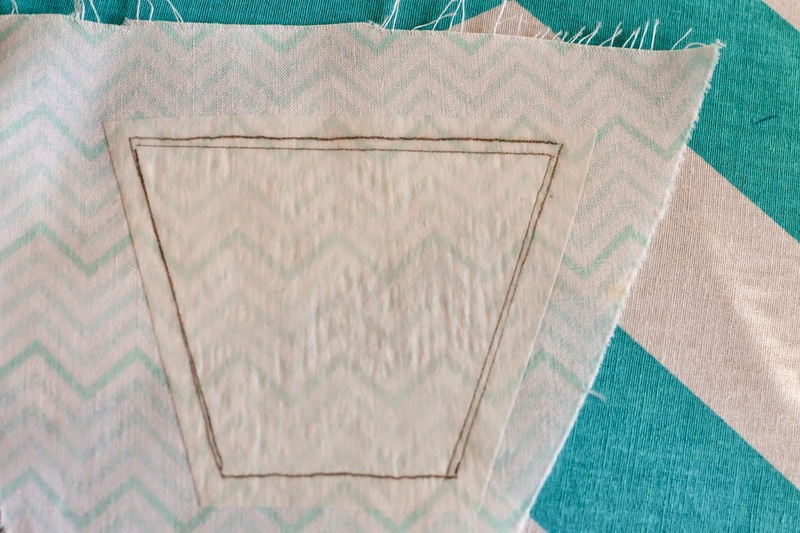 Remember: If using a layered pattern go back and iron the next piece before stitching it in place. When all of the pieces have been sewn turn the shirt inside out and tear away the stabilizer backing. 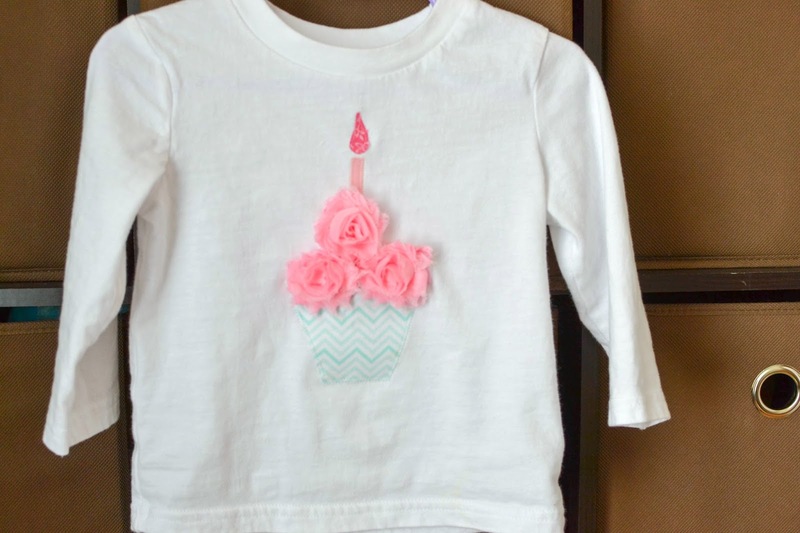 Attach any ribbons, buttons, or flowers to your shirt using a needle and thread. Step back and enjoy your creation.